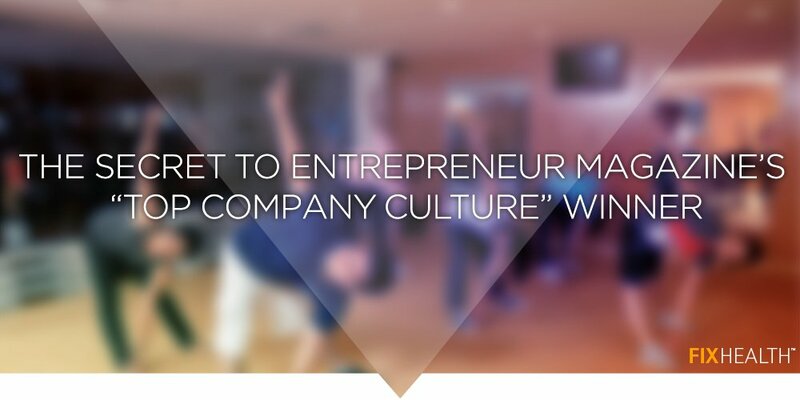 Entrepreneur Magazine has partnered with CultureIQ to find the Top Company Cultures in America – and the No. 1 spot goes to a Healthcare company with a passion for Employee Wellness. Fusion Medical Staffing took the top spot in this prestigious review by building a collaborative, employee-first culture. Their vetting of new candidates is extremely thorough, with interviewers asking a series of probing questions to determine if candidates “are driven but also open to helping other people out.” Fusion finds that searching for people with the core characteristics of being “humble, driven, and positive” makes for a culture of people that are working for each other as much as themselves. And the rewards for making the cut? The first thing they tout on their list of benefits is their commitment to employee health and wellness – a 6,000-square foot fitness center, yoga studio, classes, and more. When co-Founder Scott Wehner speaks about these Wellness benefits, he considers it an investment that more than pays for itself. If your company would like to bring more of the positive benefits of wellness to your employees, a Walking Challenge is the perfect way to begin. Stay hydrated at work: If you don’t like plain water, add a spritz of lemon or lime juice for a citrusy twist!